Conference provided demographics can be obtained by using the provided access information. With the provided access code you are able to register and use MissionInsite at any time. 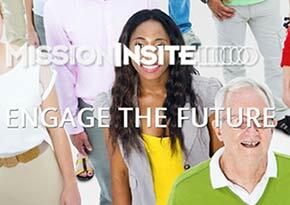 MissionInsite is the resource for the study of church contextual information. The material offered can be vital to church development, mission outreach, and the empowerment of congregations within their communities. The ease of use and the comprehensive scope of data is remarkable. Enjoy exploring your Ministry area and discovering new mission opportunities!